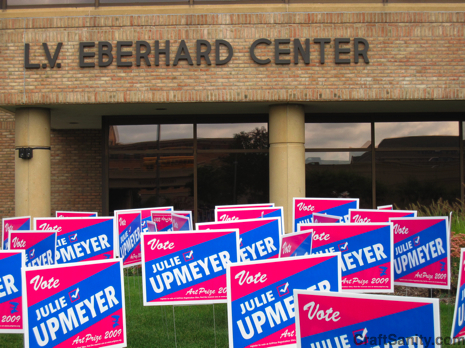 That was my first response when I walked past these signs on the lawn of Grand Valley State University’s Eberhard Center. 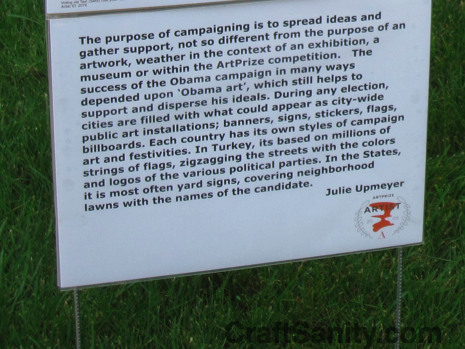 Then I read the Julie Upmeyer‘s artist statement explaining that the campaign signs are the art. Oh. Now I get it. Clever. Welcome to ArtPrize 2009 where art hits you in the most unexpected ways. What do you think about this art campaign?